Chris Wheeler is a veteran camp-goer. Last year marked his tenth summer; but that doesn’t stop him from being just as fired up about camp as he was when he first visited. Chris observes the pool activities during OATS. Answer: My favorite meal is tough because I’m a picky eater, but three meat pasta with tomato sauce. Question: What does your typical day look like? Answer: I’m an intern for Centene, which is part of a work program that helps people with disabilities find jobs. 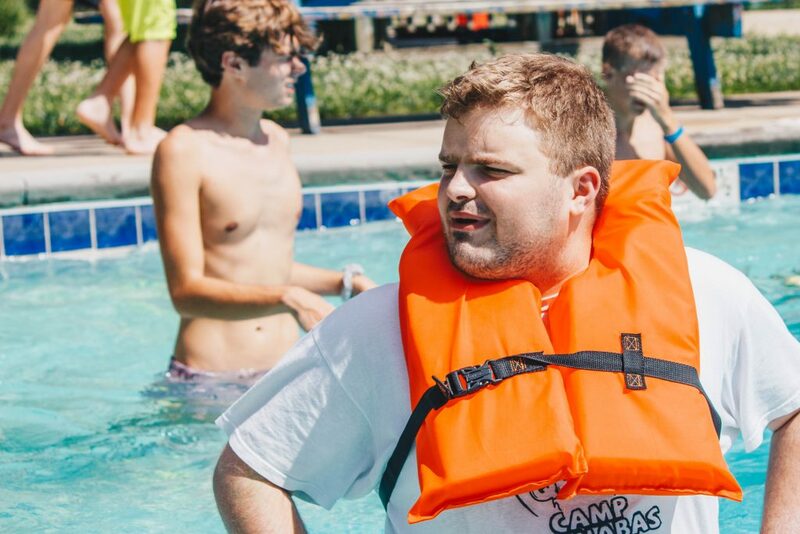 Question: What is your biggest challenge outside of camp? Answer: My dream is to fight for equality for everyone at work. 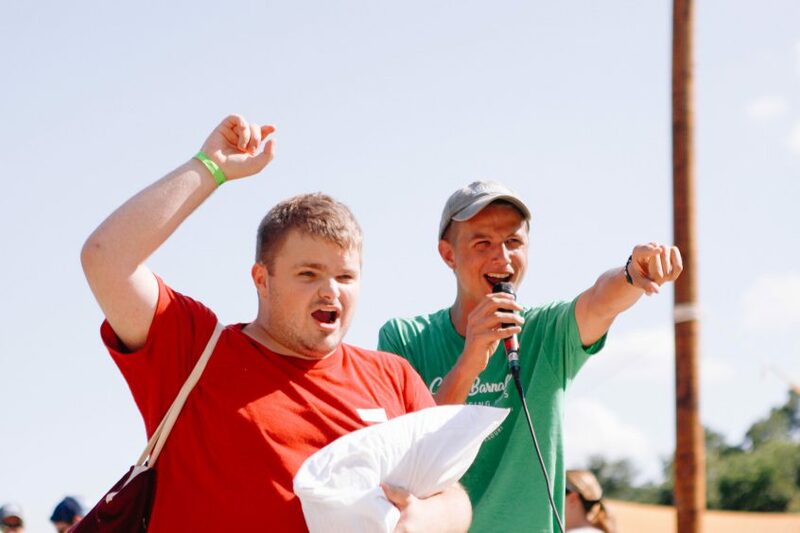 We’re counting down the days until we see you at camp, Chris! 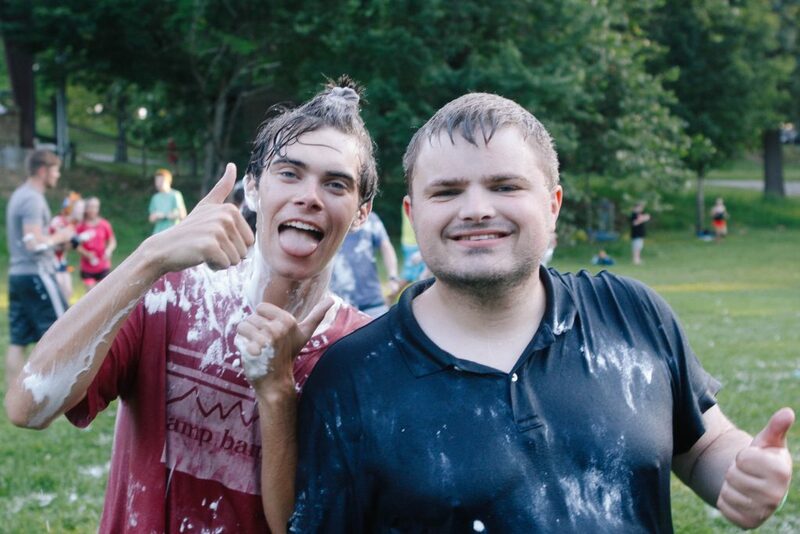 Chris and his missionary enjoying water games.